Avid golfers can't seem to get enough swing tips these days. You can find them in magazines, watch them on television, and probably more often than you like, you get them from your buddies on and off the course. Many times, these tips are specific to a certain aspect of the swing, but experienced golfers break down their swing into the basics, work on these different parts of the swing individually and understand how each aspect is related to the others. Here are a few specific aspects of the swing that you should practice if you want to improve your game. One of the major obstacles in anyone’s golf swing is the body. Adding flexibility and improving your dexterity will no doubt result in improvements in your swing. All the experimentation and tips in the world can only do so much if the body is unable to perform the tasks required. To improve your golf swing, implement a fitness and stretching program, because everything starts with a strong foundation. According to PGA instructor Andrew Farrea, a previous bad shot, a bad break, a bad bogey, wind, rain or whatever can lead the mind to wander from the task at hand. In circumstances where tension is high, your mind can put your body in a situation out of its normal golfing element, which brings in a high probability for a swing flaw. It is in these times that a pre-shot routine can return your mind to the current shot and situation. Developing a consistent and repeatable pre-shot routine will mitigate swing flaws and mental barriers. When a golfer works to improve his or her swing, the posture is easily neglected. Good posture aids in everything from balance and weight distribution to club head speed and swing plane. The experienced golfer’s posture is grounded in a forward tilt from the hips -- not the waist -- of typically about 30 degrees. If you're not sure how much 30 degrees is, picture yourself standing in the middle of a clock face. If your upper torso is the top hand, it should point toward one o'clock. Think of this as your swing's "Happy Hour:" You should maintain it for as long as you can, from your backswing to your finish. This posture prevents you from moving up or down during the swing, and helps guide the club on the correct path, which is at 90 degrees to your spine. Many experienced golfers understand the importance of the take-away. It gets you headed in the right direction, and when it isn’t apropos, it will throw off the entire swing. Develop an approach to the take-away that can be repeated and feels comfortable for you. Former world No. 1 and six-time major champion Nick Faldo believes the take-away is one of the most underrated aspects of the golf swing. And according to Jack Nicklaus and Greg Norman, the first 18 inches of your golf swing is the most important. There are many different drills you can practice to improve your take-away, so work on it, because if you don’t get that down, you won’t be able to make consistent improvement with the rest of your swing. Many amateurs struggle to understand the importance of rotating their entire body through the swing. 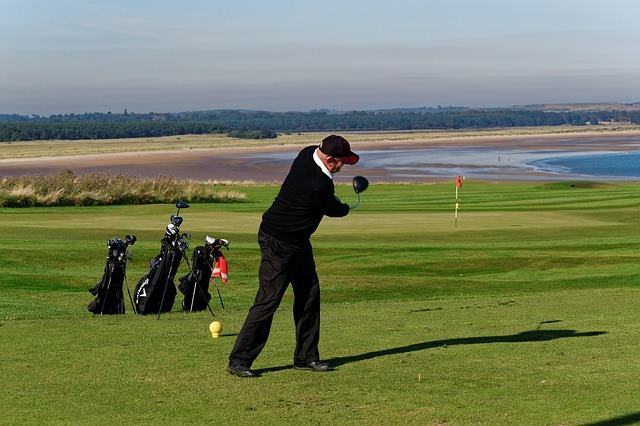 When practicing the swing, concentrate on every body part: hips, legs, chest, shoulders and arms. Under rotating causes the arms to try and finish the swing, which results in a loss of power and control. Over-rotating creates inconsistencies in timing and accuracy. Once you’ve improved your flexibility and dexterity through stretching and fitness, work to achieve the proper rotation that will make your swing flow more easily and more consistently. A common misconception of “rhythm” and “tempo” is that they refer to the same thing. Rhythm can be seen as a state of mind, while tempo is the physical action taking place. Teacher Bob Toski writes that golfers should “surrender to the swing.” Relaxation -- that is, letting the club do the work while you gently guide it -- is a staple of the golf swing that most instructors try to teach. How many times have you been told to grip the club lightly, to take an athletic posture with your knees slightly bent rather than standing stiffly at address, or to “waggle” the club before swinging? Such “active relaxation” helps you stop working against the movements in the swing. This is consistent with your physical strength. If tempo exceeds your strength, you will lose control of the club. Find a balance between your ability to control the the club and the force your swing generates. This will help you identify your optimal swing speed and create good tempo. According to “Golf State of Mind” by David MacKenzie, 9 out of 10 golfers neglect the finish as a key element of a solid golf swing. Many experienced golfer will follow-through toward the target and finish balanced, with their belt buckle pointed straight at their aiming point. According to MacKenzie, how well you finish a shot is a direct reflection of how good a shot it actually was. How well are you focusing on all these basic aspects of the swing?